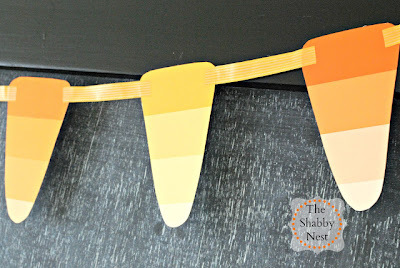 The Collected Interior: Halloween candy corn garland! Today I am loving this chalkboard frame from The Shabby Nest! Absolutely one of my favorite decorating blogs. 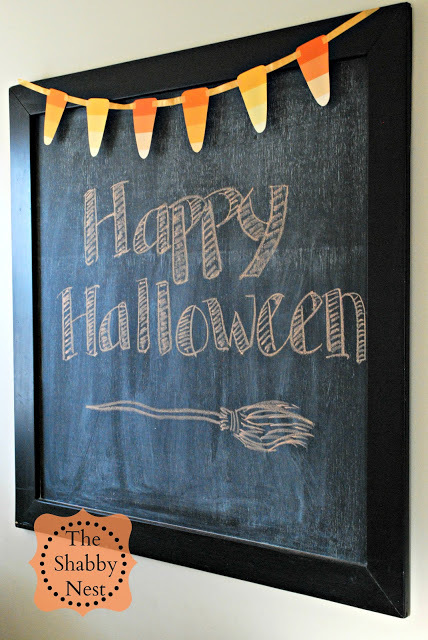 Of course I love all things chalkboard, but check out the garland. Wendy made this with simple paint chips and washi tape...so creative! So visit The Shabby Nest and get the scoop here on this adorable project!